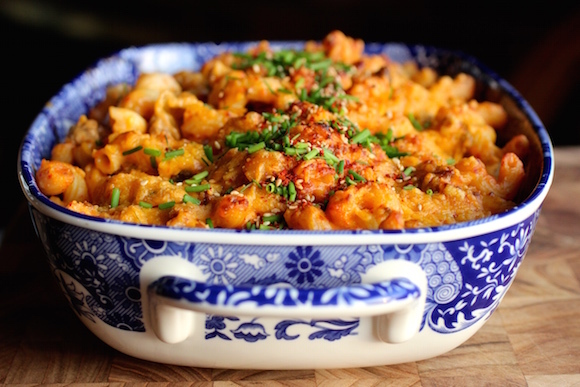 Napa cabbage kimchi and sharp cheddar cheese is one of my favorite combinations – kimchi’s zingy fermented flavors and rich full-bodied cheddar, together create an amazing food synergy. 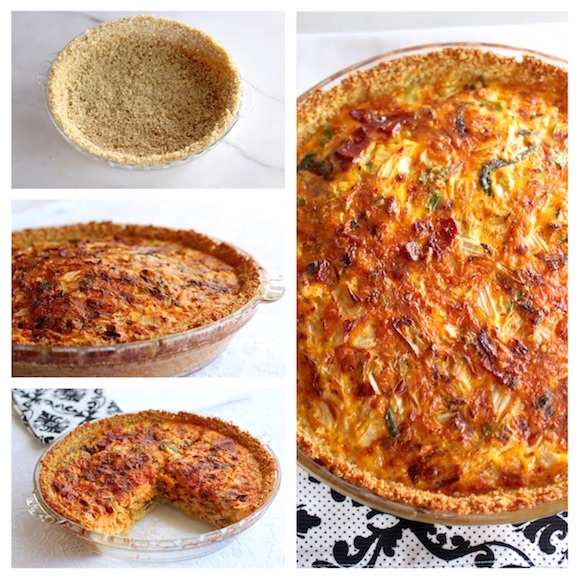 And since last week’s Spinach, Tomato, Goat Cheese Quiche with a Black Quinoa Crust was such a big hit, I wanted to share another quiche using the more common white quinoa for the crust. Besides being gluten-free and high in protein and fiber, the quinoa crust has a delightful crunchy-chewy texture, counterbalancing the creamy cheesy custardy filling. In addition to kimchi and cheddar, I add bacon and scallions too. So there is no shortage of flavor in this pie! Cook quinoa according to package instructions. Let cool. Mix quinoa with egg, cheese, salt and pepper. Butter a 9″ pie plate. Press quinoa mixture into the pie plate. Use the back of a spoon to press the quinoa all the way up the sides of the pie plate. Blind bake in a 375° oven for about 12 minutes until the quinoa becomes a firm crust. Let cool. Beat eggs with milk, season with salt and pepper. Add bacon, scallions, kimchi, and cheddar. Pour egg mixture into the quinoa crust. 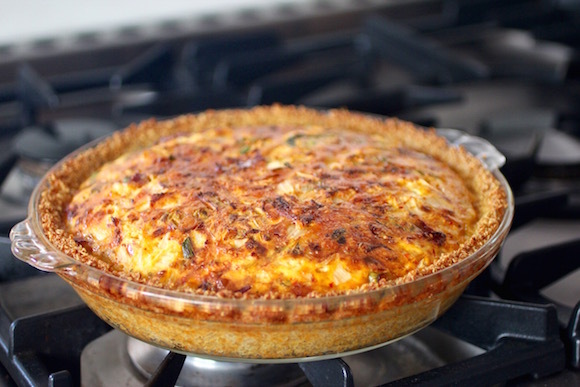 Bake the quiche in a 375° oven for about 35 minutes until the egg mixture is set. Let stand 5 minutes before slicing. Your recipes are so inspiring and wonderful. 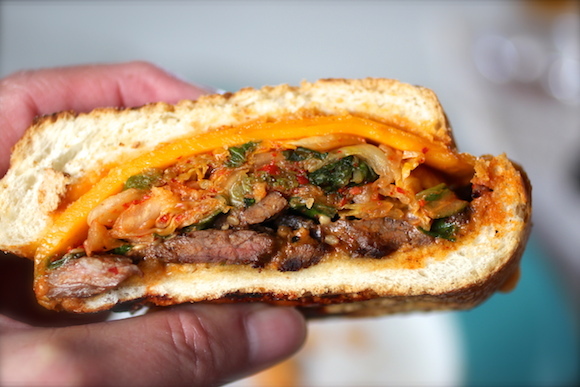 I pinned your Korean beef with seaweed noodles on Korean food group boards and people loved it. 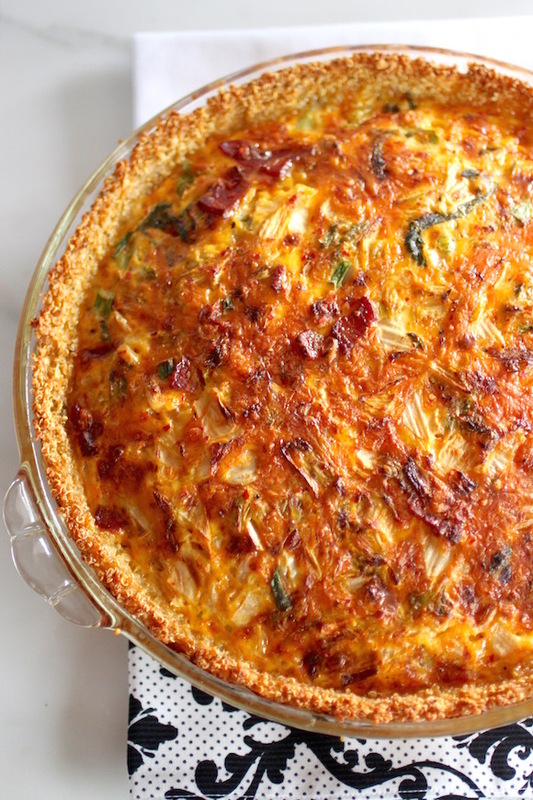 I am definitely going to try this quiche dish as I am gluten intolerant but love quiche. Thank you and I am so glad I found your website. And your photography is amazing. Hi Sojin – I’ve been meaning to write to you. 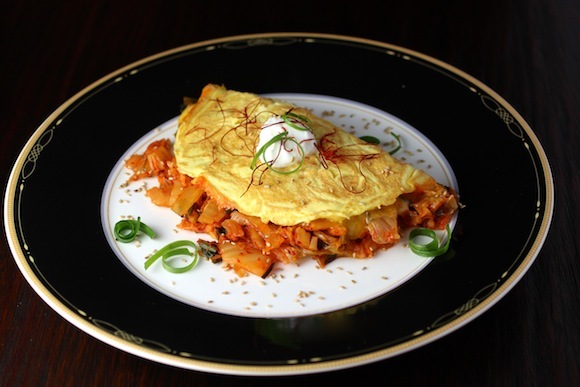 I’ve included Kimchimari on my list of favorite Korean blogs. Nice to know you! Thank you for your kind words too. Please let me know how you like the quinoa crust!